A multiplo experiment is an experiment where compounds are tested in duplo or triplo across multiple plates. By default, such a compound will be fitted on a separate dose-response curve for each plate. 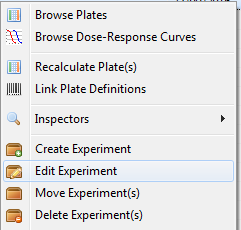 If you want to pool the data points together and fit a single curve on all points over multiple plates, you have to configure the experiment as a multiplo experiment. The first step is to configure the experiment for multiplo fitting. To do this, right-click on the experiment and select Edit Experiment. 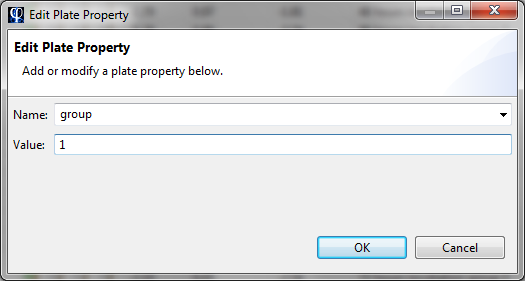 Select Property as the Multiplo method. 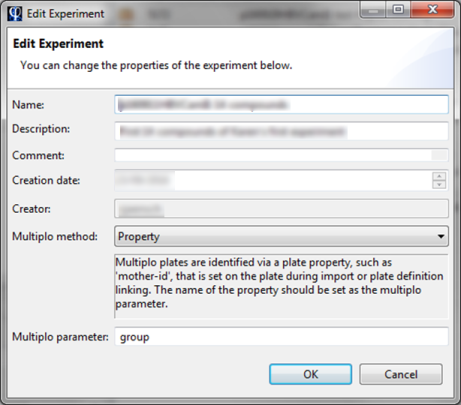 Enter an appropriate name in Multiplo parameter for grouping the plates together. This property will be used later on to link plates together. For example, if you enter 'group' as the name, you can then group plates in 'group 1', 'group 2', etc. Once the experiment has been configured for multiplo, you can group plates for multiplo fitting. This can be done at any time: you can add plates, re-group, remove plates, etc. The curves will be re-fit automatically. 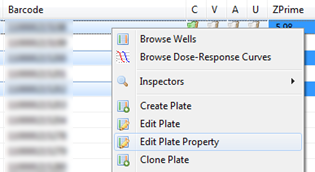 To group plates, start by making a selection of the plates by holding down the Ctrl key. Value: enter a unique value for this particular group of plates. 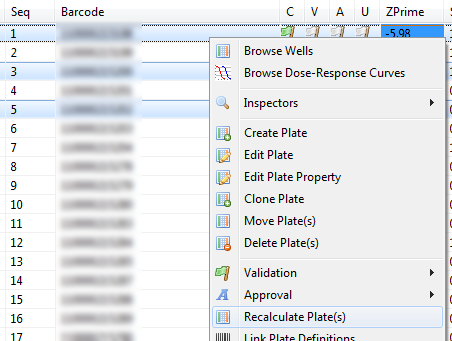 After the property has been set, recalculate the plates by right-clicking them and selecting Recalculate Plate(s). Any dose-response curves on the plates will be re-fit and data points will be pooled according to how the plates are grouped together.